The American Brown Ale originated in the U.S.A. as a homebrew style of beer. This beer differed from the traditional English Brown Ales in multiple ways. The American Brown Ale has more alcohol, stronger chocolate malt and roasted barley character, and more hop bitterness and aroma. 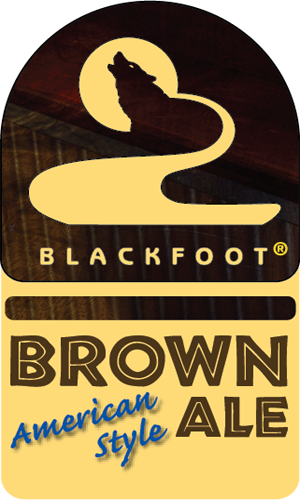 Blackfoot’s American Style Brown Ale is deep brown in color. The initial flavor is creamy smooth and malty with caramel, biscuit and toasted flavors. The finish is medium-dry with chocolate malt, roasted barley and hops coming through in the aftertaste.